Forrest Seal has lived and worked on the Outer Bank for over 30 years. He started in the construction industry as a framing contractor and understands the business from the ground up. During his career, Forrest has served as a construction supervisor and manager for some of the area’s largest real estate companies overseeing as many as 15 jobs at a time. Forrest is known for attention to detail and quality construction, and is now highly respected as a contractor. Experience and training are what it takes to get the job done right. Forrest Seal has been building and remodeling homes on the Outer Banks for over 25 years. He is certified and accredited to give you the highest level of service. At every stage of the project, Forrest is on the job and available to his clients 7 days a week. 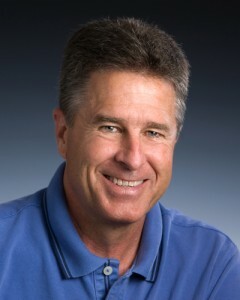 Forrest maintains an active role in the Outer Banks Home Builders Association. He has served as President, a reflection of the respect and admiration people hold for him, as well as Vice President and has chaired the Remodeler’s Council, and he currently serves on the Board of Directors. Forrest is a firm believer in continuing education, and has been certified in as many different aspects of the construction industry. His book of certifications is two inches thick, so no matter what the job, he’s already had the training. 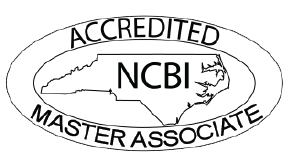 He is also an Accredited Builder and Accredited Master Builder through the North Carolina Builder Institute and has obtained the Certified Lead Paint Abatement Removal designation. Many prominent members of the Outer Banks community have chosen to use Forrest to build their homes, and it’s always a decision they’re glad they made. With a keen eye for detail, Forrest ensures that all of his homes are 100% finished before handing it over to the owner. He won’t be happy until the owner is. He brings a valuable knowledge of construction methods and regulations in all of the towns on the north end of the beach, and any home he builds is sure to be perfect.